"Preserve the best, improve the rest"
The Society was formed in 1972. We have over one hundred members and we want to make the best of Evesham and its surroundings. We have a special interest in ensuring that the heritage of Evesham is kept safe for future generations and we look forward to the changes and opportunities that are taking place with increased population. The Vale of Evesham Civic Society recently presented their Annual Merit and Commendation Awards. 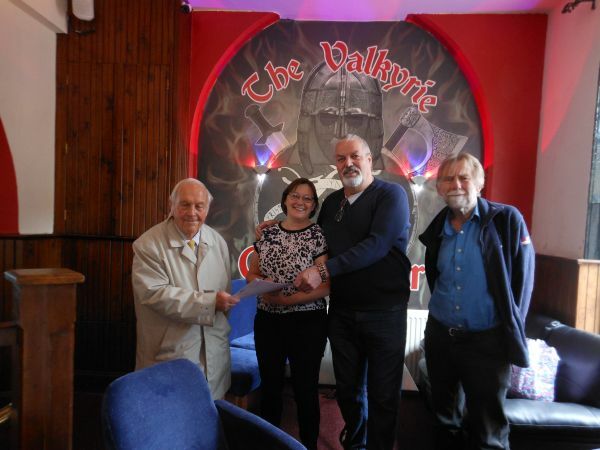 At a brief ceremony on the 28th April at the Valkyrie Bar and Café Bar, Chairman and Colin Tether presented a Commendation Award to Steve Richford and Katrina Edwards for the contribution made by their sympathetic renovation of the Town Hall Undercroft to create the Valkyrie Café Bar. The Town Hall undercroft had lain empty for 13 years with various attempts to camouflage its neglected state, their actions improved the street scene and provide character to an important part of the Town Hall and shows confidence in the future of the Town. 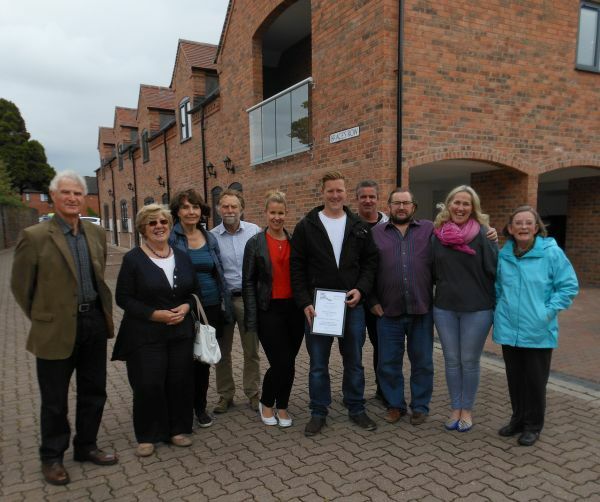 At another ceremony on the 11th May, the Society presented their Merit Award to Albert and Fred Homer of AJ & SC Properties Ltd for a mews style development off Merstow Green. It was thought to be an improvement to an important and historical area of Evesham. Originally the site was the bar and skittle alley of the Working Men’s Club. The development is called Brace’s Row after Mathew Brace a young Evesham Rugby player who died after an accident in May 2011. It is a doubly poignant award because Fred Homer, who did most of the brickwork on the project and is named on the Merit Award, died in October 2016. It was felt that this award was a fitting memorial. For more information about the Vale of Evesham Civic Society email at vecs1972@gmail.com. Copyright © 2019 Vale of Evesham Civic Society. All rights reserved. Database rights protected.